This article is about the Indian philosophical concept "Guna". For other uses, see Guna (disambiguation). The concept originated in Samkhya philosophy, but is now a key concept in various schools of Hindu philosophy. There are three gunas, according to this worldview, that have always been and continue to be present in all things and beings in the world. These three gunas are called: sattva (goodness, constructive, harmonious), rajas (passion, active, confused), and tamas (darkness, destructive, chaotic). All of these three gunas are present in everyone and everything, it is the proportion that is different, according to Hindu worldview. The interplay of these gunas defines the character of someone or something, of nature and determines the progress of life. Guṇa is both a root and a word in Sanskrit language. Its different context-driven meanings are derived from either the root or the word. In verse VI.36 of Nirukta by Yāska, a 1st millennium BC text on Sanskrit grammar and language that preceded Panini, Guṇa is declared to be derived from another root Gaṇa, which means "to count, enumerate". This meaning has led to its use in speciation, subdivision, classification of anything by peculiarity, attribute or property. This meaning has also led to its use with prefixes such as Dviguna (twofold), Triguna (threefold) and so on. In another context, such as phonology, grammar and arts, "Guṇa-" takes the meaning of amantrana (आमन्त्रणा, addressing, invitation) or abhyasa (अभ्यास, habit, practice). In the Mahabharata Book 6 Chapter 2, the meaning of guna similarly comes in the sense of addressing each part (the root implying amantrana), and thereby it means avayava (अवयव, member, subdivision, portion). In Sanskrit treatises on food and cooking, guna means quality, tendency and nature of ingredient. Ancient South Indian commentators, such as Lingayasurin, explain that the meaning of guna as "thread, string" comes from the root guna- in the sense of repetition (abhyasa), while the Telugu commentator Mallinatha explains the root guna- is to be understood in Sisupalavadha as amredana (आम्रेडन, reiteration, repetition). Larson and Bhattacharya suggest that the "thread" metaphor relates to that which connects and runs between what we objectively observe to the tattva (तत्त्व, elementary property, principle, invisible essence) of someone or something. In the context of philosophy, morality and understanding nature, "Guna-" with more dental na takes the meaning of addressing quality, substance, tendency and property. In abstract discussion, it includes all hues of qualities – desirable, neutral or undesirable; but if unspecified, it is assumed with good faith to be good and divine in Indian philosophy. Thus, Guṇi from the root "Guṇa-" means someone or something with "divine qualities", as in Svetasvatara Upanishad hymn VI.2. Innate qualities and tendencies are key ancient concepts in Indian literature. Maitrayaniya Upanishad is one of the earliest texts making an explicit reference to Hindu trinity of Brahma, Vishnu and Shiva and linking them to their Guna – as creator/activity, preserver/purity, destroyer/recycler respectively. The idea of three types of guna, innate nature and forces that together transform and keep changing the world is, however, found in numerous earlier and later Indian texts. Rajas is the quality of passion, activity, neither good nor bad and sometimes either, self-centeredness, egoistic, individualizing, driven, moving, dynamic. In Indian philosophy, these qualities are not considered as present in either-or fashion. Rather, everyone and everything has all three, only in different proportions and in different contexts. The living being or substance is viewed as the net result of the joint effect of these three qualities. According to Samkya school, no one and nothing is either purely Sattvik or purely Rajasik or purely Tamasik. One's nature and behavior is a complex interplay of all of these, with each guna in varying degrees. In some, the conduct is Rajasik with significant influence of Sattvik guna, in some it is Rajasik with significant influence of Tamasik guna, and so on. The balance of Gunas of everything and everyone can change and does. However, change in one quality faces inertia from other two qualities in Indian worldview. Change needs internal or external influence or reinforcement, as knowledge and force to transform. The force to change comes from Rajas guna, while Sattva guna empower towards harmonious and constructive change, while Tamas guna checks or retards the process. In Indian mythology, Vishnu is envisioned with more Sattva, Brahma with more Rajas, and Shiva seen with all three Gunas. 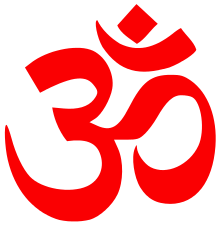 In Nyaya (logic) school of Hinduism, there is extensive debate on what Guna means, and whether quality is innate, subjective or describable. Early scholars of this school identified 17 qualities, which later scholars expanded to 24 guṇas. Different scholars of this school list the 24 differently; for example, Bhasarvajna disallows 6 of the 24 commonly accepted by the ancient scholars. The most commonly accepted list is: color, taste, smell, touch, number, contact, disjunction, farness, nearness, dimension, separateness, knowledge, pleasure, frustration, desire, hatred, effort, weight, fluidity, viscosity, dispositional tendency, merit, demerit, and sound. Nyaya school considers quality as non-repeatable, a conceptual theme that is not found in Western philosophy on "quality" where it is presumed to be repeatable. It is also not found in some parallel schools of Hinduism. Repeatability means, that the white in one object is same as white in other object, and white means the same thing. Nyaya scholars hold that "whiteness" is a guna of "white", but that is different from "whiteness" of an object or living being. To them, white has many hues and the "whiteness" is subjective. In Laksanavali, an ancient Indian text by Udayana, Guna is discussed with more nuance. For example, he writes, "quality of earth" is specific only if it meets three conditions: it occurs in earth, does not occur in anything that is not earthy, and be a distinctive quality that cannot be described as combination of other qualities. In Vaisheshika school of Hinduism, which is most related to Nyaya school, Guna is considered as one of the padartha (category) of relations. It states that our relational awareness, understanding and judgments of a person and anything in the world is relational. 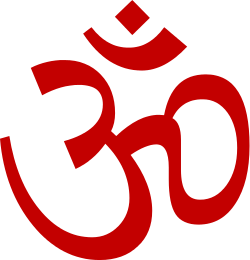 All relations, holds this school of Hinduism, is dyadic between anuyogin (referend) and pratiyogin (referent). Inherence (samavaya) is one of its seven categories of relations, as is quality (guna), being (bhava), genus (samanya), species (vishesha), substance (dravya) and motion/action (karman). Unlike Vaisheshika, Nyaya considers inherence as subset of guna (quality). Gangesha, a Nyaya school scholar, suggests a somewhat different theory, stating that our awareness is of two types – true awareness and false awareness. True awareness is produced when we seek to observe some excellence (guna) in its cause, while false awareness results from observing fault (dosha) in its cause. In other words, in Gangesha's perspective, the observer's state of mind and attitude affects relational awareness. Chapters 3, 7, 13, 14, 17 and 18 of Bhagavad Gita discuss Guna. Verse 17.2 refers to the three Guna – sattvic, rajasic and tamasic – as innate nature (psychology or personality of an individual). Sattvic guna is one driven by what is pure, truth, compassionate, without craving, doing the right because it is right, positive and good. Tamasic guna is one driven by what is impure, dark, destructive, aimed to hurt another, contemptuous, negative and vicious. Rajasic guna is one that is ego-driven, out of personal passion, active, ostentatious, seeking the approval of others. Action that is virtuous, thought through, free from attachment, and without craving for results is considered Sattvic; Action that is driven purely by craving for pleasure, selfishness and much effort is Rajasic; Action that is undertaken because of delusion, disregarding consequences, without considering loss or injury to others or self, is called Tamasic. Similarly, knowledge that is attached to object of action, without concern for understanding the cause, without concern for purpose or significance, is Tamasic knowledge; knowledge that is segregated, that considers everything unconnected, individualistic and meaningless is Rajasic; knowledge that sees one being in all beings, that seeks the whole, a unity in diversity, and similarities in the divided components is Sattvic. Guna is one of the four important elements in the framework of ethical theories in Indian philosophy. Bommer et al. suggest that ethical/non-ethical behavior is an outcome of individual attributes, personal environment, social environment and institutional rules and laws. Guna theory is the ancient Indian philosophy on individual attributes, while the theories of Dharma and Ashramas address the personal and social environment, as well as part of its institutional framework. Guna theory, states Crawford, represents a hierarchical theory of values, where the relative order of hierarchy is suggested to vary within each individual along with the relative proportion of each guna. The interplay of three gunas affect an individual's values, and in Hindu worldview, these values affect individual's actions, as well as the happiness and serenity experienced by the individual. The gunas are not considered as static and set. Hindu literature, such as the Bhagavad Gita, state it to be dynamic and changeable with knowledge, introspection and understanding of sva-dharma. Realizing one's sva-dharma and Self, is emphasized in Indian ethical theories. The highest state of existence and bliss, in Advaita school of Hinduism for example, is jivanmukti (Self realization) and moksha. Guna theory's perspective on values constituting human personality has uniqueness yet is congruent with other ethical theories. Samkhya cosmology combines the three guṇas with primal matter (universe, Prakrti). These are present in all things and beings in the world, and it is their interplay that defines the physical and psychological character and nature. They serve as the fundamental operating principles or 'tendencies' of prakṛti which are called: sattva guṇa, rajas guṇa, and tamas guṇa. When any of the guna is out of balance in a being or object, the Samkhya school suggests that a pattern of evolution starts, affecting not only itself but its environment. Purusha, or consciousness, is considered as separate from Prakriti and changeless. In the Sanskrit grammatical tradition (Vyakarana), guṇa is an ancient language innovation that strengthens vowel-stems, making it more visually palpable when written and more musically resonant when heard. Dwight states that the use of guna makes the Sanskrit language more dynamical, bringing out into relief the idea expressed, given its complexity; in other words, the use of guna in Sanskrit adds depth and sophistication in its phonetic delivery as well as intellectual structure. These innovations are not unique to Sanskrit, but also found in Greek, Latin, Italian and to some extent Russian. Guna and other rules of language for Sanskrit are described by Pāṇini in his Ashtadhyayi. Guna refers to a set of normal-length vowels that are less reduced than the basic set (in modern terms, the zero grade), but more reduced than the vṛddhi vowels (in modern terms, the lengthened grade). As an example, ṛ, i, u are basic (zero-grade) vowels, with corresponding guṇa (full-grade) vowels ar, e, o and vṛddhi (lengthened-grade) vowels ār, ai, au. (This is more understandable once it is realized that, at an earlier stage of development, Sanskrit e and o were ai and au, and Sanskrit ai and au were āi and āu.) Guna corresponds to what is now termed the full grade in Indo-European ablaut. Another orthography and phonology concept related to Guna is Briddhi. In the terminology of Ayurveda (traditional medicine), guṇa can refer to one of twenty fundamental properties which any substance can exhibit, arranged in ten pairs of antonyms, viz. heavy/light, cold/hot, unctuous/dry, dull/sharp, stable/mobile, soft/hard, non-slimy/slimy, smooth/coarse, minute/gross, viscous/liquid. Guna is also a concept in Ayurvedic medicine, as a system to assess conditions and diets. For this reason Triguna and tridosha are considered to be related in the traditions of Ayurveda. ↑ Deshpande, S; Nagendra, H. R.; Nagarathna, R (2009). "A randomized control trial of the effect of yoga on Gunas (personality) and Self esteem in normal healthy volunteers". International Journal of Yoga. 2 (1): 13–21. doi:10.4103/0973-6131.43287. PMC 3017961 . PMID 21234210. ↑ Shilpa, S; Venkatesha Murthy, C. G. (2011). "Understanding personality from Ayurvedic perspective for psychological assessment: A case". AYU (An International Quarterly Journal of Research in Ayurveda). 32 (1): 12–19. doi:10.4103/0974-8520.85716. PMC 3215408 . Chopra, Ananda S. (2003). "Āyurveda". In Selin, Helaine. Medicine Across Cultures: History and Practice of Medicine in Non-Western Cultures. Norwell, MA: Kluwer Academic Publishers. pp. 75–83. ISBN 1-4020-1166-0. p. 76, citing Sushrutasamhita 25.36.